The land of delightful surprises! Unfold the magic and mysteries of Bhutan, officially known as the Kingdom of Bhutan, which is a fascinating country of rolling hills, pristine natural beauty, towering Himalayas, dense forests, cascading waterfalls, ancient temples and monasteries and rich cultural heritage. It is a land of surprises where the rice is red and chillies aren’t just a seasoning but the main ingredient. 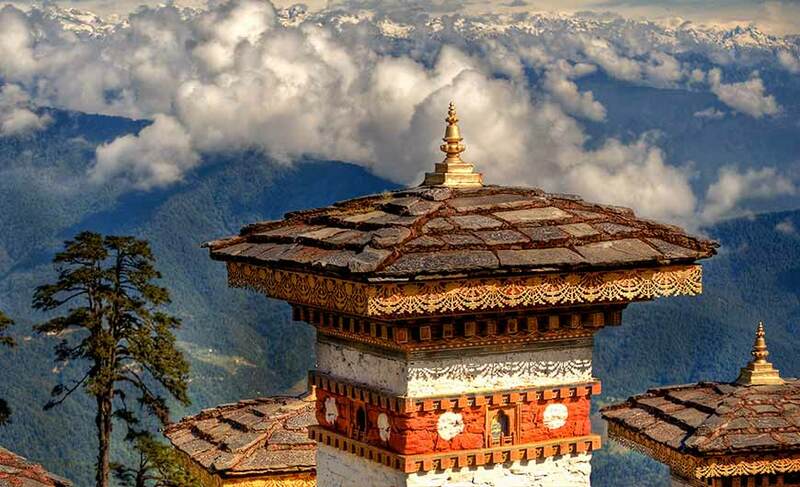 Located in South Asia, the country is majorly mountainous and Thimphu is its capital. The sight of the prayer flags fluttering along the high ridges is a common sight here as Buddhism is intricately woven into the culture of Bhutan and plays an important role in the people’s life. It is a great country where Gross National Happiness is considered more important than Gross National Product. By the country laws, at least 60 percent of the country must remain forested for all future generations. They have high reverence for Mother Nature which is commendable. Thimpu is the capital city of Bhutan and is the only capital in the world without traffic lights. 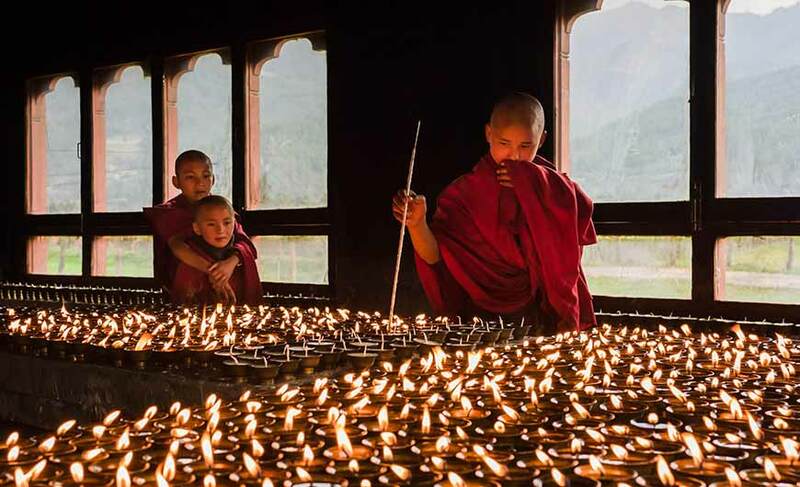 It’s a clean and lively place with attractions like stupas, dzong, National Library, Institute for Zorig Chusum (arts and crafts school), the Folk Heritage Museum, National Textile Museum, Buddha Point etc. There is so much to explore and experience in this city. It is a Buddhist monastery and fortress which also serves as the office of the Kingh, ministers and different government organizations. 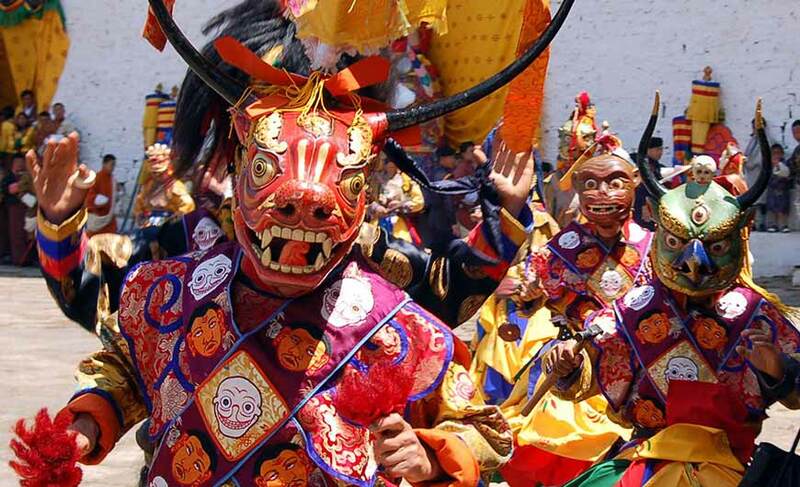 It also serves as the venue for the famous Thimphu (religious) Festival every year. It is the biggest cultural event of the country. A visit to this Pass will bring to face to face with breathtaking views of the majestic Himalayas and fluttering prayer flags. It is located on the way to Punakha from Thimphu. The Pass is dotted with 108 chortens which were built in honour of the Bhutanese soldiers. It is very popular with tourists. Also known as The Palace of Great Bliss, Punakha Dzong is a must-visit destination. It was built in 1637 and faced damage six times. Today it stands as one of the most arresting dzongs in the country. Its wonderful assembly hall is open to tourists. As you move to the far end of the Dzong you will find a Kuenrey, a temple housing huge statue of the Buddha. The ceiling of the temple is decorated with amazingly painted dragons. The Kuenrey has the most mesmerizing painting of the twelve episodes of the life of the Buddha. 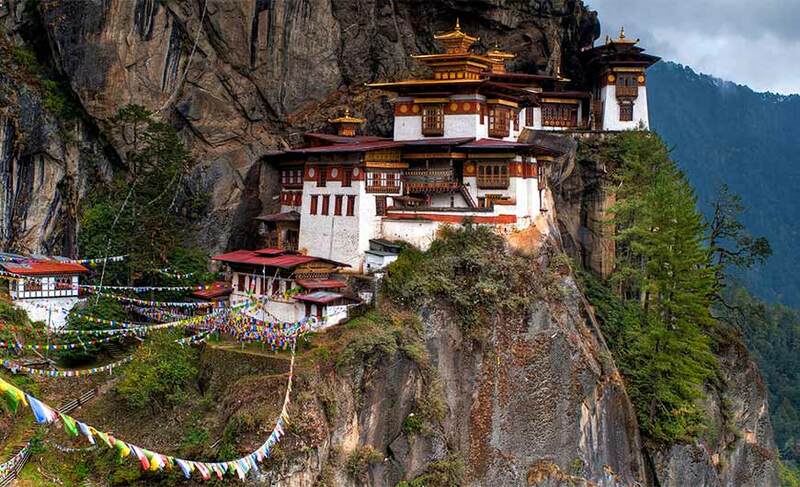 This monastery located on a rocky mountain is also known as the Tiger’s Nest. Built in the 8th century, it is believed to be the site where the 2nd Buddha, Guru Rimpoche meditated. It is one of the most important Buddhist pilgrimage sites in the Himalayas. Trekking and hiking are the adventurous ways to see the charm of Bhutan. The treks give you an opportunity to discovery natural beauty of the country and to acquaint with the culture and lifestyle of the people. On the treks you will pass through gorgeous vegetation to river valleys and icy slopes of the Himalayas. You can also enjoy mountain biking here. Spices are vital ingredients in the cuisine of Bhutan. The Bhutan people love eating chillies. Rice is an important part of the meals apart from the side dishes like meat or vegetables. The rice is red in colour and is very nutritious. Ema Dasti, a mix of chillies and tasty local cheese, is the national dish of the country. Momos, Phaksha Paa (pork cooked with red chillies), Jasha Maru (spicy minced chicken) are the other popular dishes. 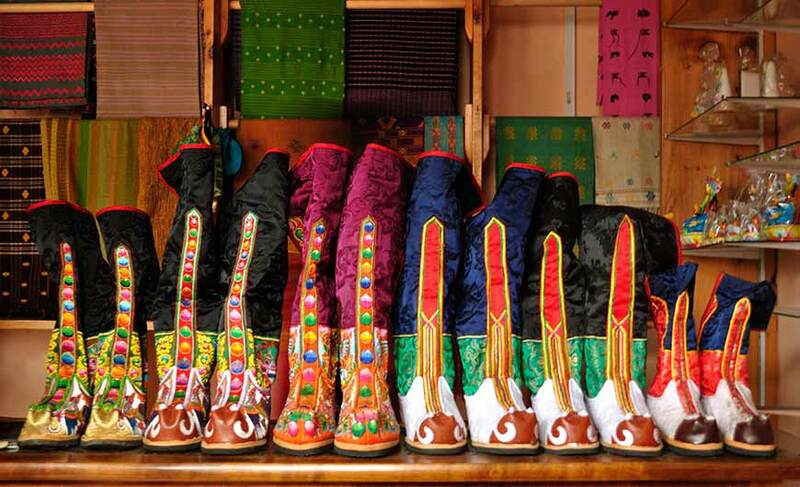 The markets of Bhutan are full of beautiful handicrafts like shawls, sweaters, coats, trinklets, Thanka paintings, Bhutanese stamps printed on silk and metal foil etc. Druk Air is the National Air carrier of Bhutan which operates regular flights from Paro airport in Bhutan to Delhi (India), Kolkatta (India), Gaya (India), Kathmandu (Nepal), Dhaka (Bangladesh), and Bangkok (Thailand).